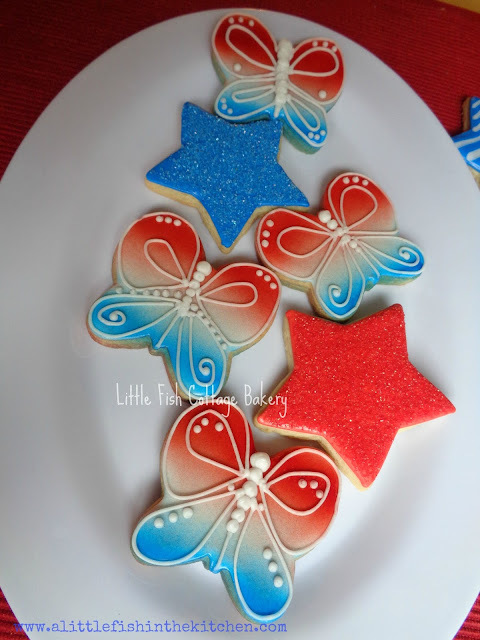 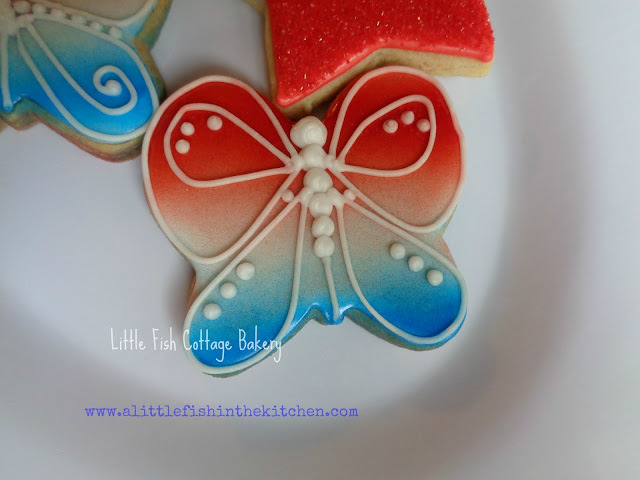 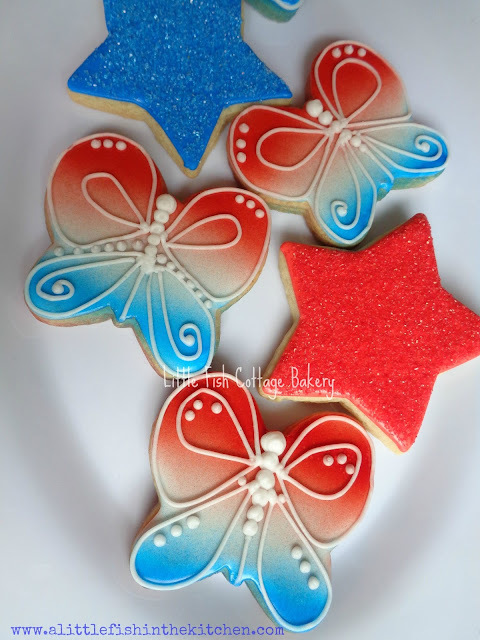 This is just a quick picture post of a couple my favorite cookie styles I'm offering for this Fourth of July holiday. 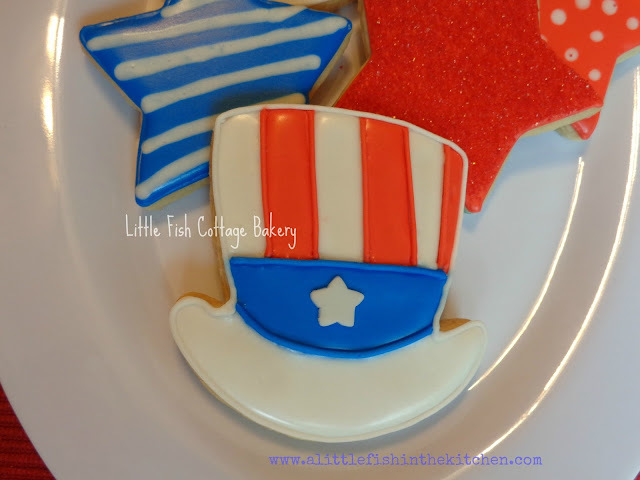 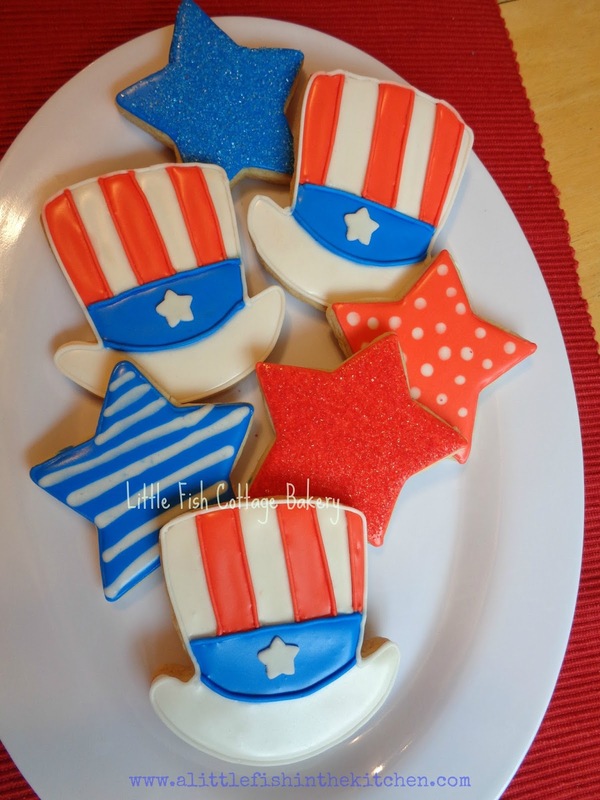 I've been wanting to create some "Uncle Sam" style hat cookies for a while and, by golly, this will be the perfect weekend for some cute red, white and blue on the plate. And as for those butterflies, I just love them and I think they came out really sleek and clean looking. 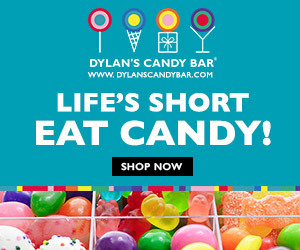 I also think they're on the more elegant side of patriotic confections, for sure! If you are local and are interested in cookies for the Fourth, I'm still accepting orders. Otherwise, please enjoy the pics!